The watch world is full of rules. Gold and silver shouldn’t mix. Automatics are invariably better. The bigger the watch, the manlier the man… But with every passing year, the old guard’s grip softens, and we’re slowly learning to ignore Switzerland’s wagging finger. Nowhere is our subtle rebellion more evident than at black tie events. Dress watches – understated and elegant, with a leather strap and unassuming dial – were once considered the sole option for a formal look, but as brands take more risks and tastes diverge, it seems there are plenty of alternatives to accompany your dinner jacket this party season. Money doesn’t always equal taste – just look at the top-table peacock trussed up in blinged-out wristwear. Which is why it’s better to opt for a signature piece from a respected brand, like the Ballon Bleu de Cartier. Pricey, yes, but definitely not tacky. Available at The Watch Gallery, priced £4,800. These days, a black tie watch needn’t actually be black, or even white. As the IWC Portugieser proves, you can pack a colour pop that’s no less fitting than a monochrome approach. Available at Mr Porter, priced £16,750. The Swiss watch rulebook might be getting smaller, but sometimes there’s still call to rip it up entirely. This Armani Exchange option might eschew tradition, but it promises to pack a mighty glint with a tux. Available at Watch Shop, priced £104. Some skeleton automatics (in which kinetic energy powers the visible movement) can run up a bill worthy of an oligarch. But not Thomas Earnshaw’s – its Longitude timepiece offers exemplary Swiss craftsmanship at a fraction of the usual price. Available at Thomas Earnshaw, priced £139. There’s a gap in the market for affordable pieces that still pack some branded muscle – a gap that Longines is quickly filling. With pieces like the Conquest Heritage, the manufacture proves itself amongst the greats: the watch’s classic-looking dial ticks all dress watch specs (apart from price). Available at Jura watches, priced £760. A black jacket isn’t the only option for formal events. If you opt for white or take the plunge with velvet, try mixing up your strap colour too with this richly hued classic from Links of London. Available at Links Of London, priced £225. Much to the chagrin of watch snobs, many luxury fashion brands are taking on the old guard with in-house Swiss-made watches. Case in point, Gucci’s GG2570. Sure, it’s not as understated as a Piaget, but it’s bound to turn more heads. Available at Gucci, priced £790. What do you get when you cross German efficiency with Swiss subtlety? No, not a divisive WWII joke, but the Montblanc Heritage – a legacy line from the brand that lets an assortment of muted details amp up the volume. Available at Montblanc.com, priced £4,200. 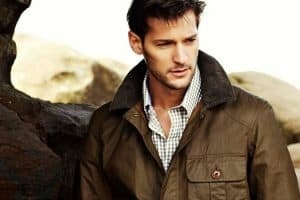 Fitness Questions All Men Should Know The Answer To The only cheat sheet you need to get fitter and stronger, faster How To Gain Weight The Healthy Way These are the only shortcuts to growth that actually work Football Casuals: How To Wear Terrace Fashion Want to know how hype sportswear really began?